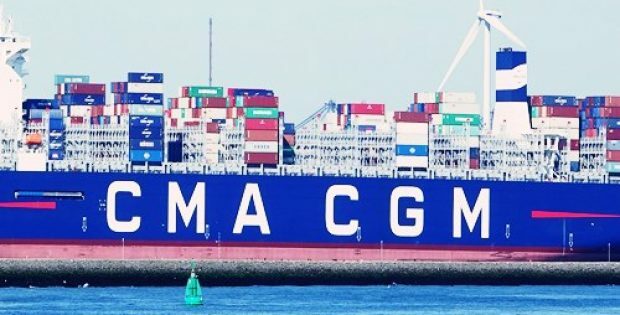 CMA CGM, a global container shipping company, has reportedly disclosed its intentions to acquire all of the global logistics supply chain CEVA Logistics. Only about five months ago, CMA CGM had confirmed it reached an agreement with CEVA Logistics to acquire nearly 25% of its equity stake. CMA GGM , which presently owns 33% of CEVA, stated that the offer and solicitation to acquire CEVA securities will only be made in accordance with an offer to purchase and related materials. Chief Executive Officer of CMA CGM, Rodolphe Saadé, was quoted saying that the company is convinced of the potential of CEVA Logistics. CMA GGM said that if it successfully acquires all of CEVA, the transaction would provide benefits for CEVA in accelerating its transformation in multiple ways. This would include bringing in operational expertise and experience of CMA GGM corporate transformations for helping CEVA in achieving its recovery plan in a fast and more efficient way. Apparently, CMA CGM would also be able to generate new opportunities for CEVA Logistics, as it is the leader in the sea transport sector, having an international commercial network. To strengthen CEVA Logistics and create economies of scale, CMA CGM would be able add value to the commercial complementarities between the freight management activities of both the companies. Furthermore, if the acquisition of CEVA Logistics was successful, CMA CGM would support additional investments with an aim to implement CEVA Logistics’ digital and IT transformation, among other things, which would encourage its operational efficiency and commercial success. Mr. Rodolphe mentioned that this cooperation between the two companies will make it possible to fasten CMA CGM’s required transformation, making it a more profitable and efficient leader in logistics for the benefit of its employees, clients and its shareholders. It would again confirm CMA CGM as a reference shareholder and its long-term partner, he added.